Communication is the focus of LIFEPAC 4th Grade Language Arts. Students will discover different literature styles through worktexts filled with engaging illustrations and grammar exercises. Units cover: Written Communication, Writing for Clarity, Fun with Fiction, Grammar, and The Written Report. Interesting stories, included for comprehension, are integrated throughout spelling and grammar lessons to keep student's captivated in this self-paced course. Lessons also include studying dictionary parts, Haiku poetry, fables and parables, writing an outline, and writing stories. 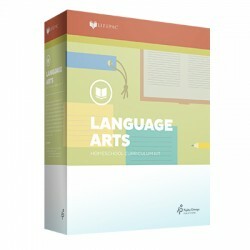 The LIFEPAC 4th Grade Language Arts Set contains ten worktexts and a teacher's guide.